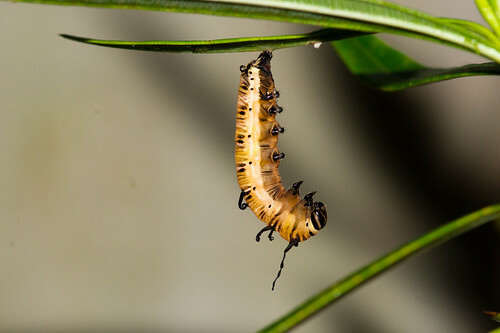 Featured below is the pupation sequence of the caterpillar of the Common Crow Butterfly (Euploea core) . 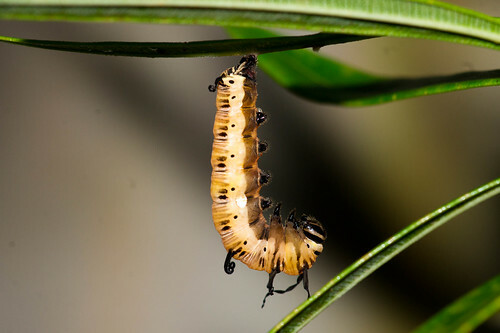 The caterpillar of this butterfly usually pupates on the leaves of its host plant. 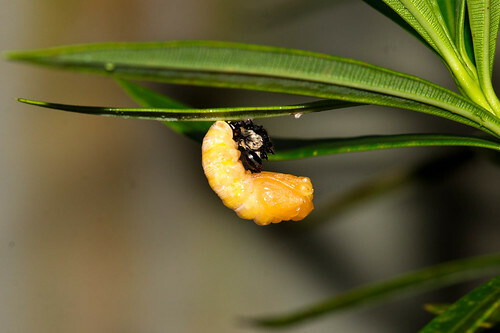 In this case it was a Oleander plant (Nerium oleander). 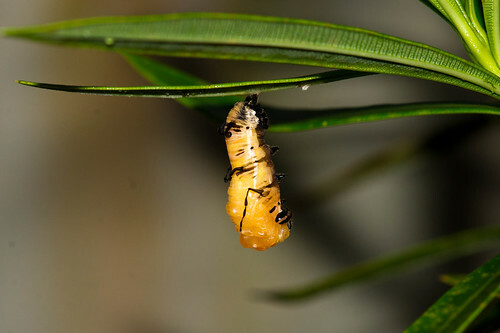 Pupation starts when the caterpillar attaches itself by its posterior end to the underside of the leaf by means of the cremaster. 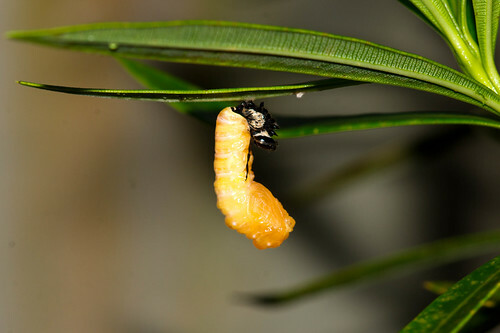 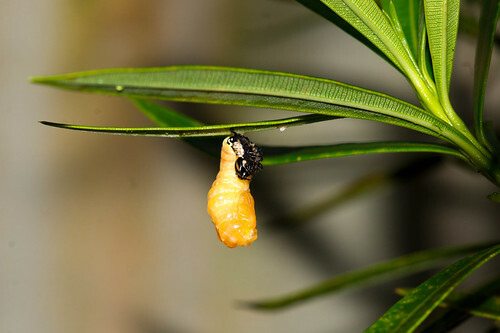 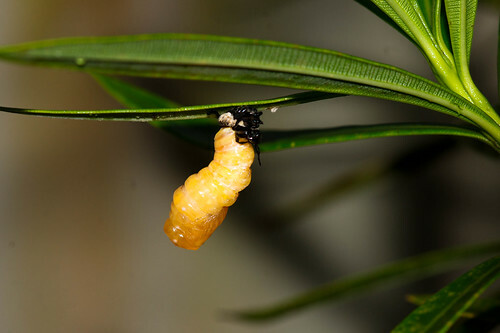 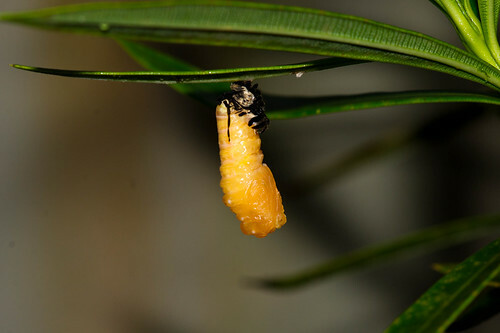 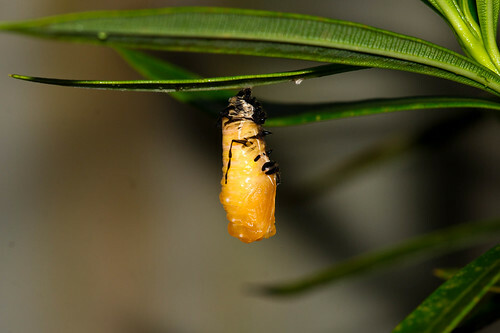 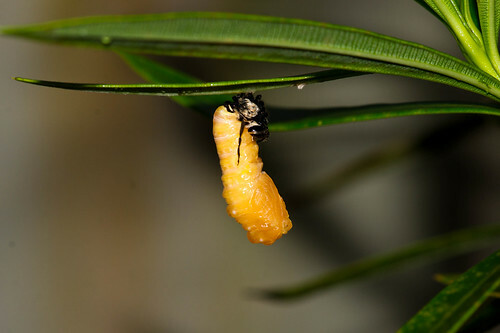 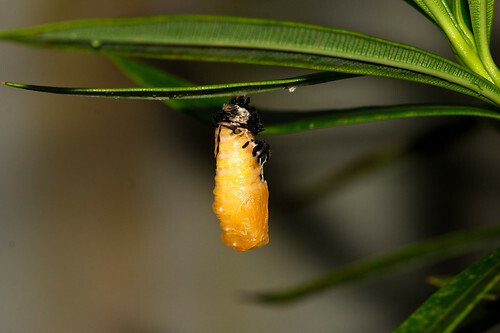 It hangs suspended thus for several hours as the pupa is generated beneath the caterpillar skin. 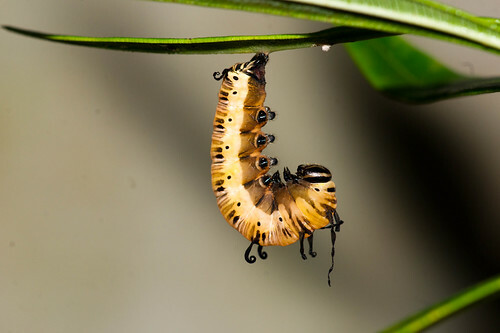 This period is accompanied by severe twisting motion as the caterpillar wriggles to accommodate its new body. 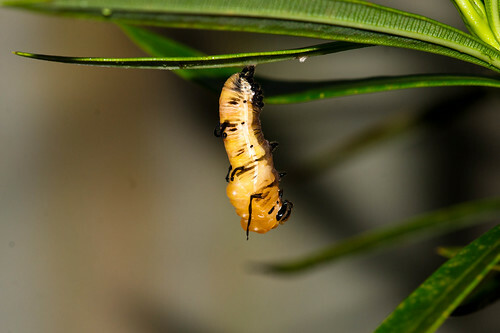 … the underlying pupa is visible through the slit. 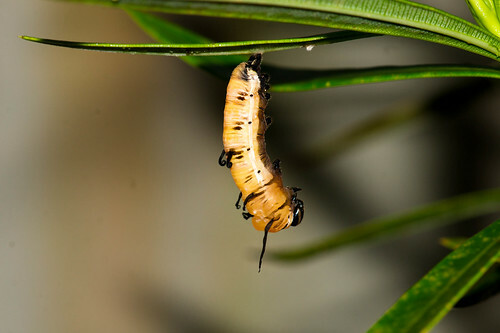 The caterpillar/pupa then beginas another series of wriggling motions, which enlarge the split across its back. 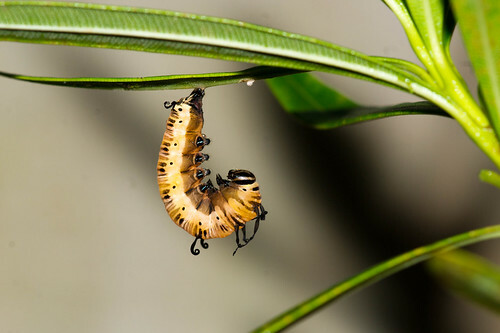 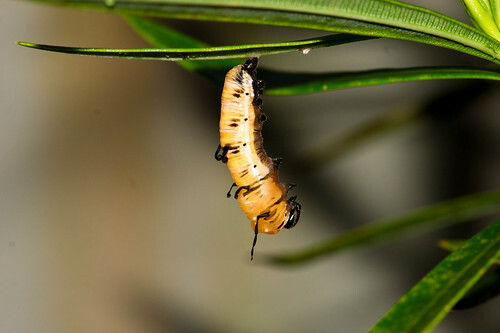 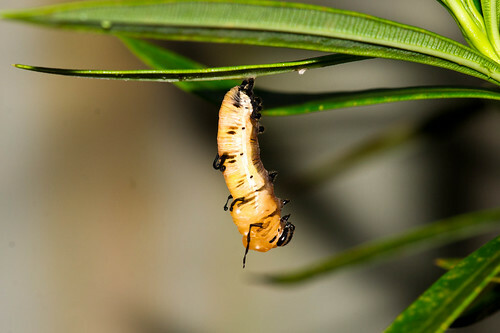 At the same time, the pupa pushes outward, causing the old caterpillar skin to ride backwards towards its posterior region. 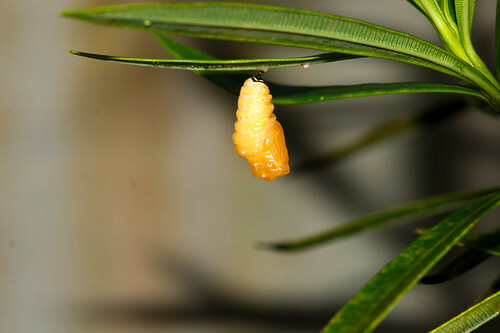 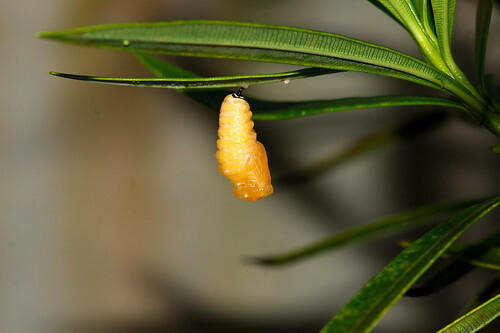 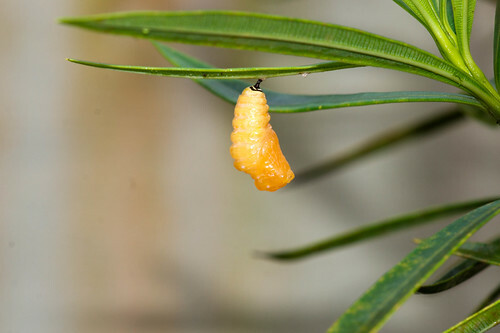 After a while, the pupa has almost emerged and there is more pupa than caterpillar to be visualised. 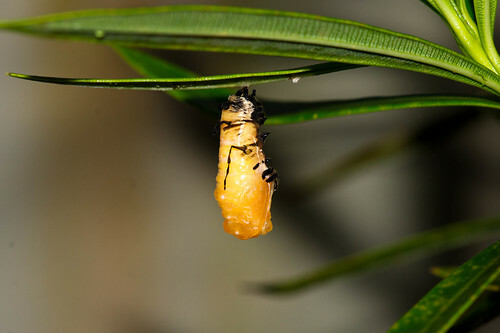 As the old skin travels upwards, it crumples up …..
…more wriggling on the part of the pupa ensues, this time in an effort to try and shrug the fully split skin off its body. 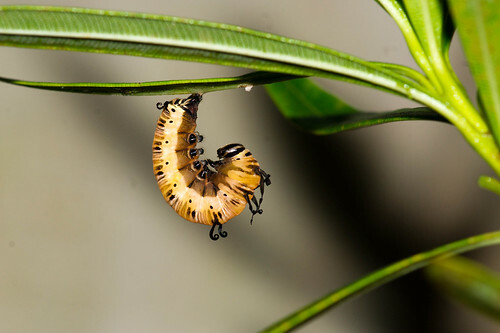 one final twisting movement and …. …finally the skin falls off, leaving a pale creamish pupa behind. 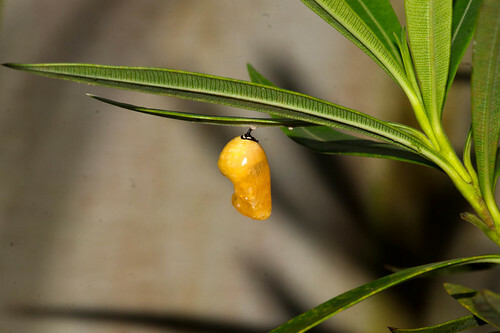 It still hasn’t reached its final desire shape and as the pupa rests, it begins to acquire a clearly defined anterior and posterior end. 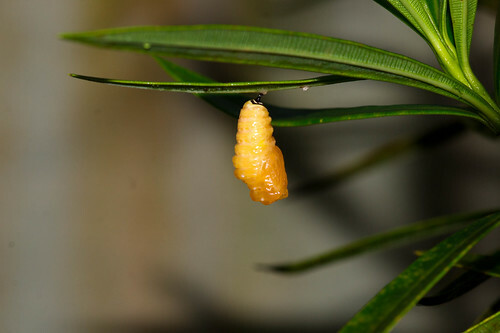 The downward end will be the anterior end of the pupa, this is where the final adult butterfly’s head will be. 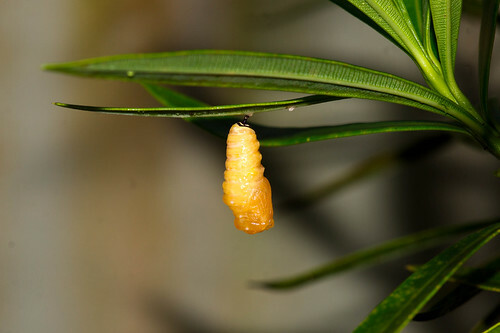 The pupa also compresses itself to become more compact than the initial shape. 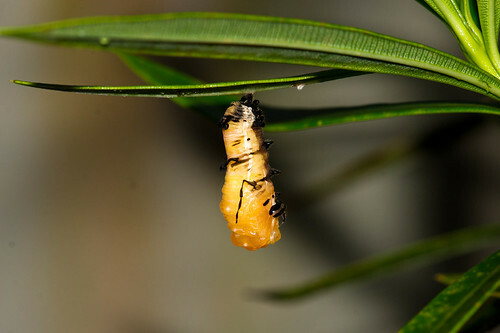 The twitching motions begin to die down. 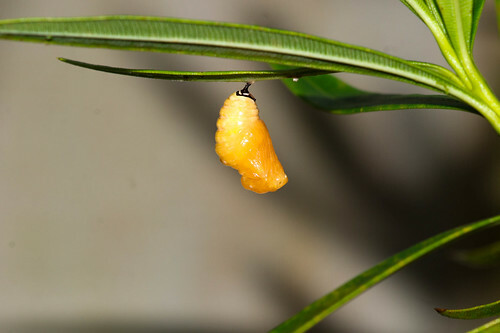 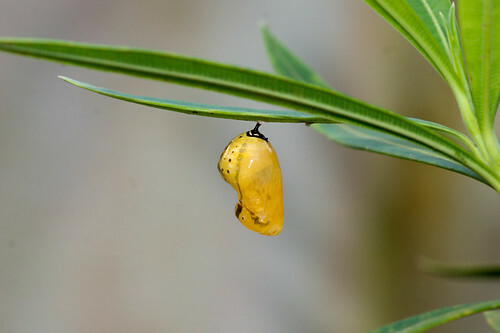 Finally, gradually, the colour begins to change into a darker yellow colour as the pupa simultaneously hardens. 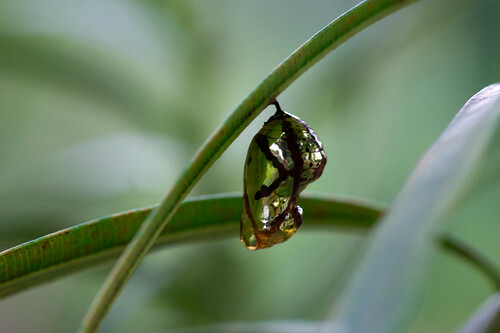 After more time, it has taken on its final shape but the colour continues to change. 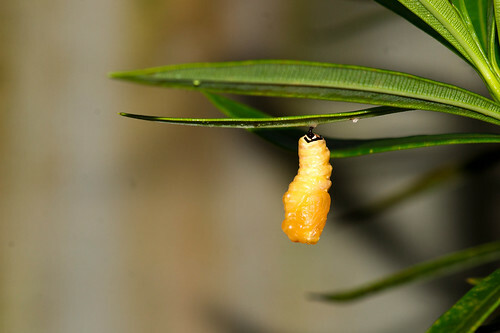 After a few hours, the pupa acquires a few spots and shades that are visible in the final form. 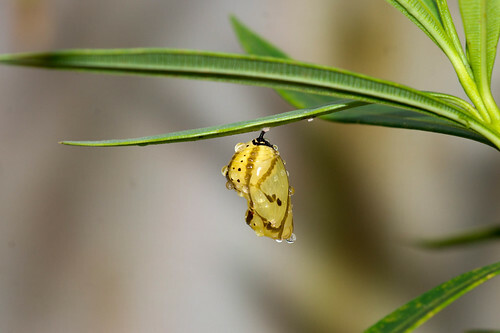 It has rained overnight and the final form is ready. 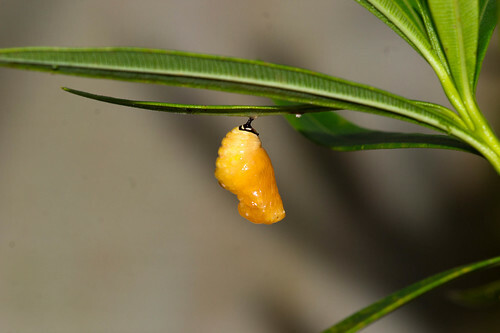 However the colour of the pupa continues its change. 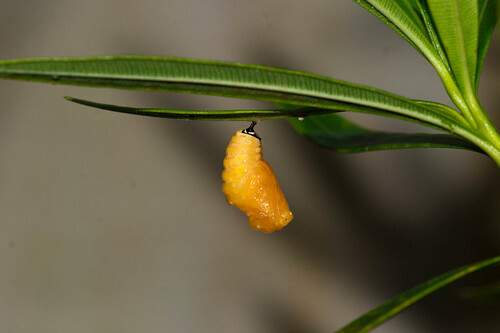 The pupa will later taken on the metallic sheen that is typical of the Common crow, the darkness of which grows more as hatching time occurs.